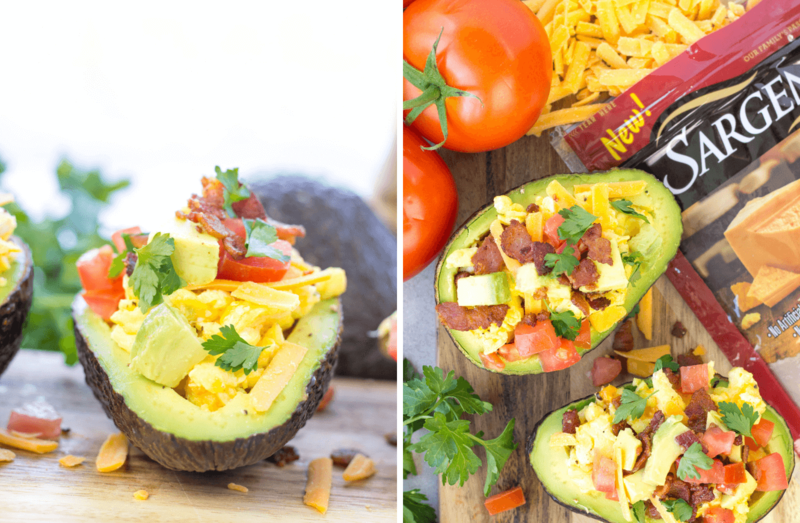 Avocado Breakfast Boats are a beautiful yet quick meal made with fresh avocado, scrambled eggs, crispy pieces of bacon, diced tomato and Sargento Shreds​® Reserve Series™ 18 month aged Cheddar. A great breakfast starts with fresh ingredients, has amazing flavor, and can be cooked up quickly for busy mornings. Avocado Breakfast Boats are all of those things PLUS they are gorgeous! 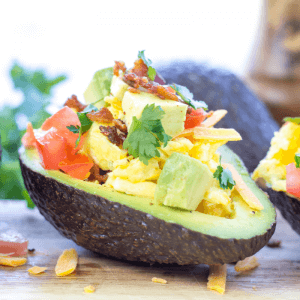 Gorgeous enough that I would feed these to guests staying over or for a brunch party because although simple, these avocado boats are impressive on taste and appealing as they are bursting in color. Meijer is my favorite grocer to shop at for everything from fresh produce to affordable beauty products. This cutting board photographed is even a Meijer find. I enjoy my weekly shopping trip at Meijer because I can pick up whatever my family needs in one stop and the prices are unbeatable! Not to mention, Meijer is always on top of what is new, like these Sargento Shredded Cheese packs. Save $.75 off 1 Sargento Shredded Cheese Package with mPerks! 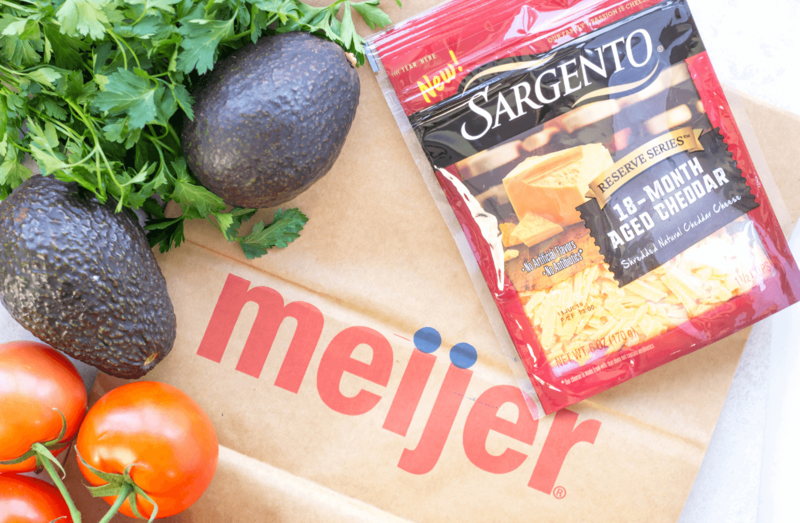 Sargento has some new cheese cuts available at Meijer. 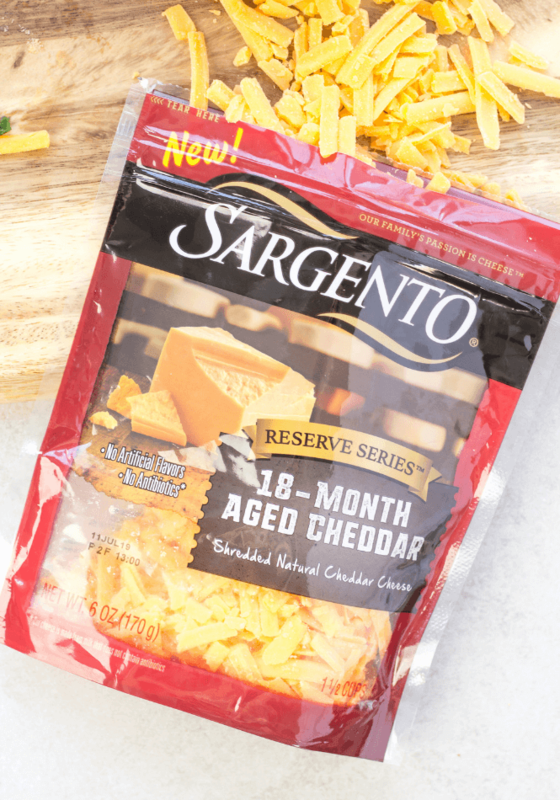 Sargento Shreds​® Reserve Series includes a 14 month aged Parmesan, 6 month aged Gouda, an Italian blend, and 18 month aged Cheddar. All these Sargento cheeses are aged, adding more intense flavor to any dish with that extra punch of cheese. Everything is just a little better with one of these delicious Sargento Shredded Cheese varieties. 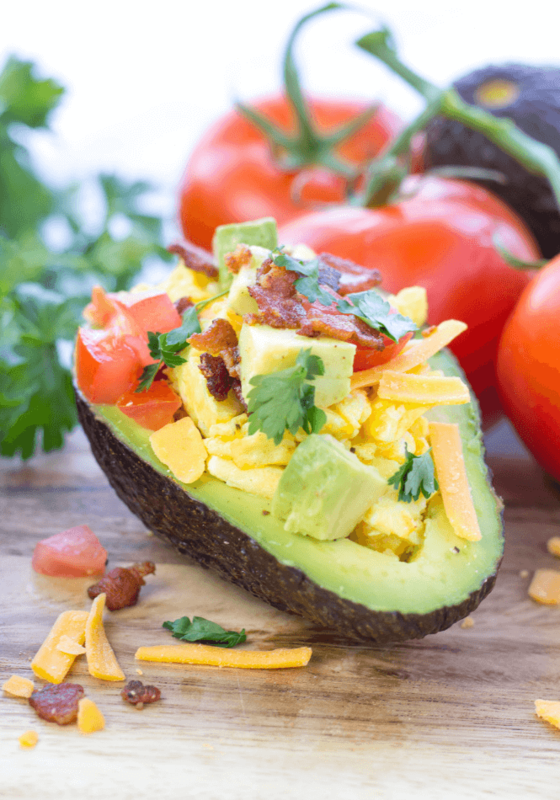 Avocado Breakfast Boats provide a healthy, balanced breakfast that is fresh and delicious. 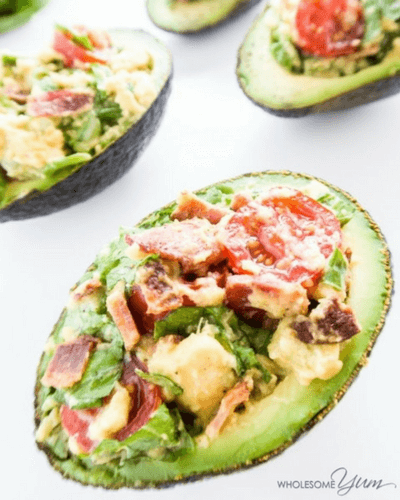 You get a buttery texture with the avocado, something creamy with perfectly scrambled eggs, a crispness with bacon, a pop of color with the tomato, and a sharpness with the Sargento Shredded Cheese. 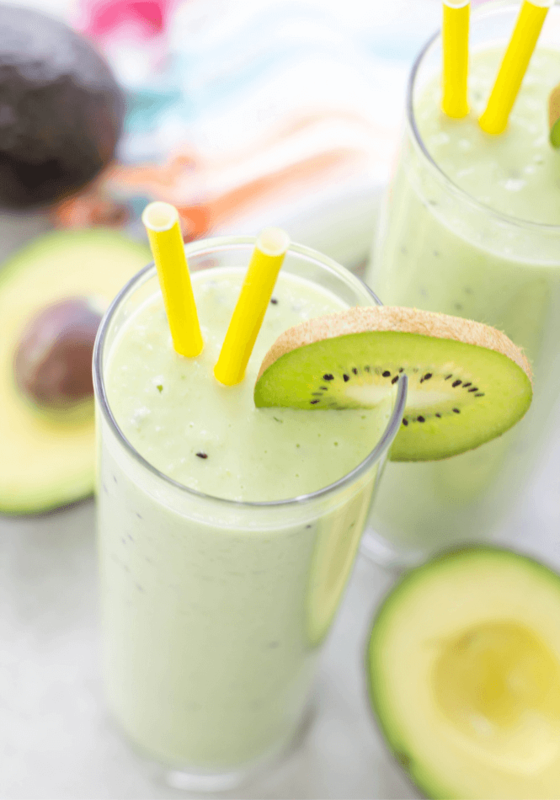 A combination that will make your taste buds do a happy dance. 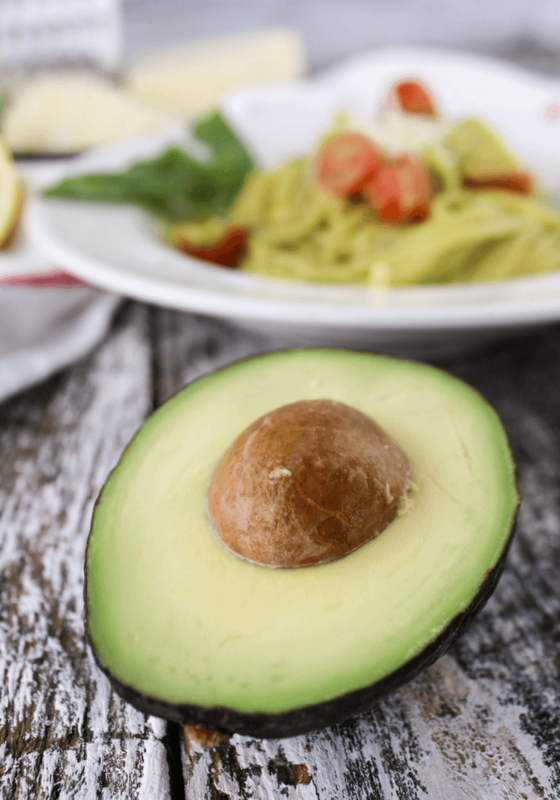 These tips and tricks can help determine if your avocado is ready to eat! 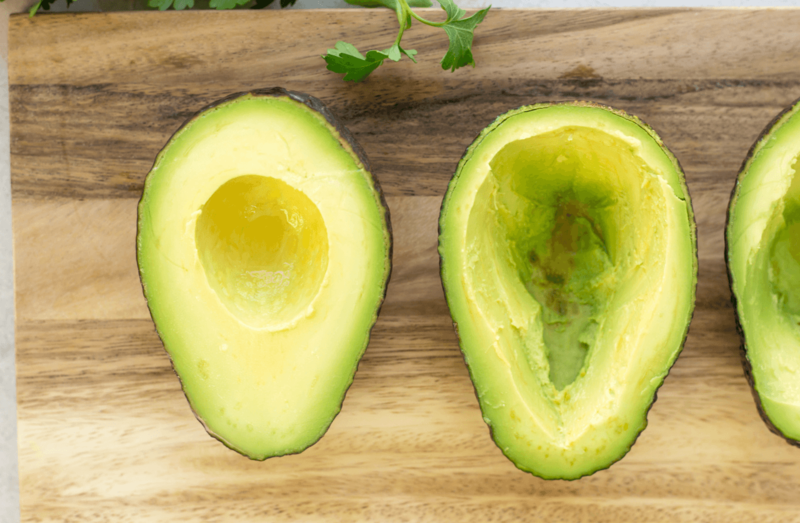 Be aware that avocados have a small window of that perfect ripeness, so ripe today may mean overripe tomorrow. A dull, dark brown-purplish color is an indication that your avocado is ripe. Bright green is an indication it is not quite there yet. I typically buy my avocados with a vibrant green tint so they will be ripe in a couple days when I plan to eat them. 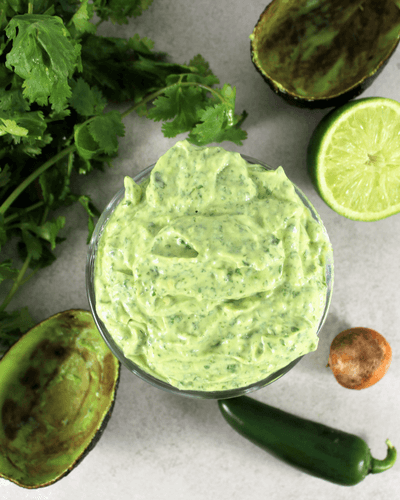 Note that this color rule doesn’t always apply and all three tips of picking the best avocado should be used. Rock hard avocados are not yet ripe while mushy are overripe. You want something in between. 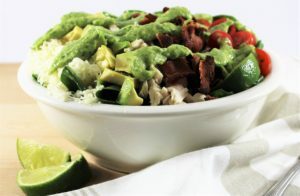 The avocado should be firm but have a little give when gently squeezed. Flicking the stem off the avocado is, in my opinion, the best way to determine the ripeness of an avocado. By removing the little stem attached to the fruit, you get to see the color your avocado is. You want to see a beautiful green color once that stem is removed. Brown is an indication that the avocado is overripe. Scrambled eggs should be light, moist, and creamy, seasoned with minimal seasoning of salt and pepper. Sargento Shredded Cheese adds richness and texture. Cook with a non-stick skillet. This makes cooking and clean up easy peasy. Butter also helps the eggs not to stick and adds flavor. Let the butter melt completely, then add the egg. Then, use a spatula to turn the egg. A low to medium-low heat is just right. Cooking on a high temperature can burn the eggs or cook them too quickly. Use a whisk to beat the eggs in a small bowl before cooking. Beat the eggs until yolk and whites are fully combined and there is consistency. Even on a low heat, scrambled eggs only take about a minute to cook. The eggs should look slightly runny when removed from the heat because they will continue to cook. Over-cooked eggs can taste rubbery and dry oppose to creamy and soft. 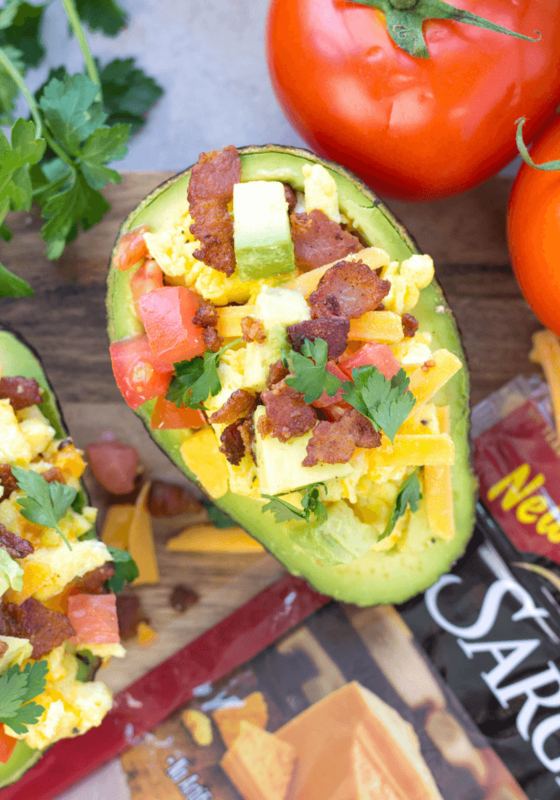 Avocado Breakfast Boats are a beautiful, yet quick meal made with fresh avocado, scrambled eggs, crispy pieces of bacon, diced tomato and Sargento Shreds​® Reserve Series 18 month aged Cheddar. Wash outside of the avocados. Cut the avocados in half and dispose of the pit. Scoop out a little bit of the avocado with a spoon and dice the part you removed. Place to the side. The section with the shell will be your avocado boat. Wash and chop the tomato. Place to the side. Dice the bacon. Cook bacon pieces on a medium-high heat in a non-stick pan for 3 minutes or until at your desired crispness. Remove bacon from and place on a paper towel. Place to the side while you cook the eggs. Wipe the non stick pan out clean with a paper towel to remove bacon grease. Place the pan back on stove on a low-medium heat. Add 1 Tablespoon butter . Beat your eggs in a small bowl with a pinch of salt and pepper. Add eggs pan once the butter has melted. 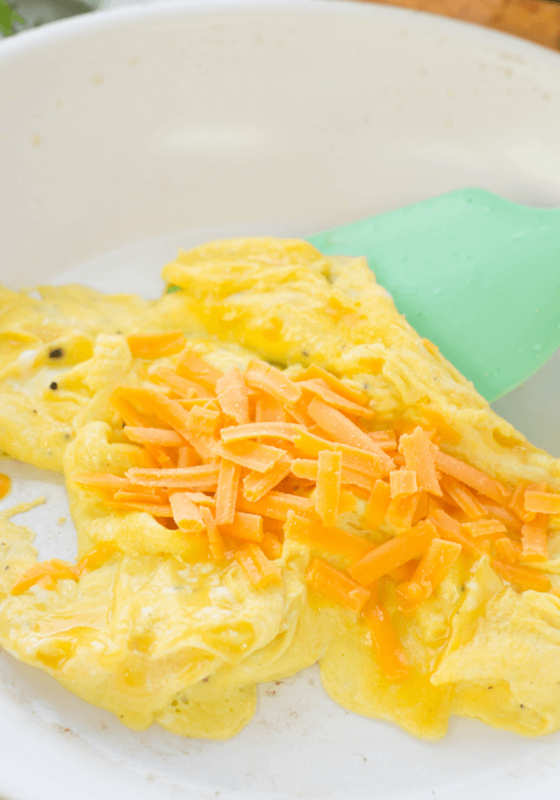 Use a spatula to mix the eggs until they become silky and slightly runny. This should take about one minute. Remove from heat and add 2 Tablespoons Sargento Shreds​® Reserve Series 18 month aged Cheddar and the crispy bacon pieces. 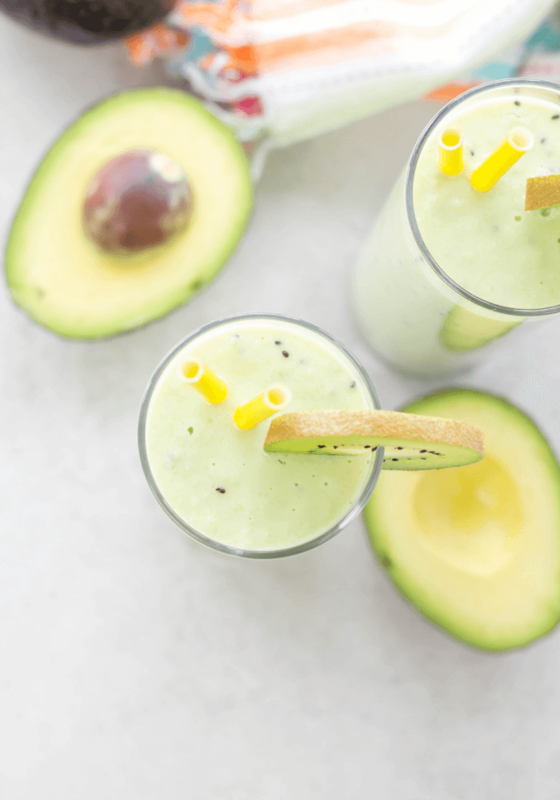 Mix together and spoon into the avocado boats. 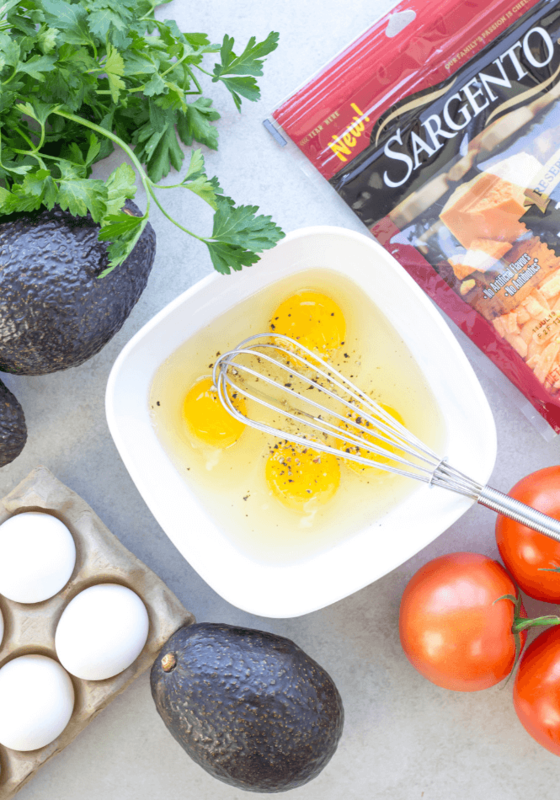 Add a little more salt and pepper, a pinch more Sargento Shreds​® Reserve Series 18 month aged Cheddar, the diced tomato and avocado, any leftover bacon crumbles all on top. 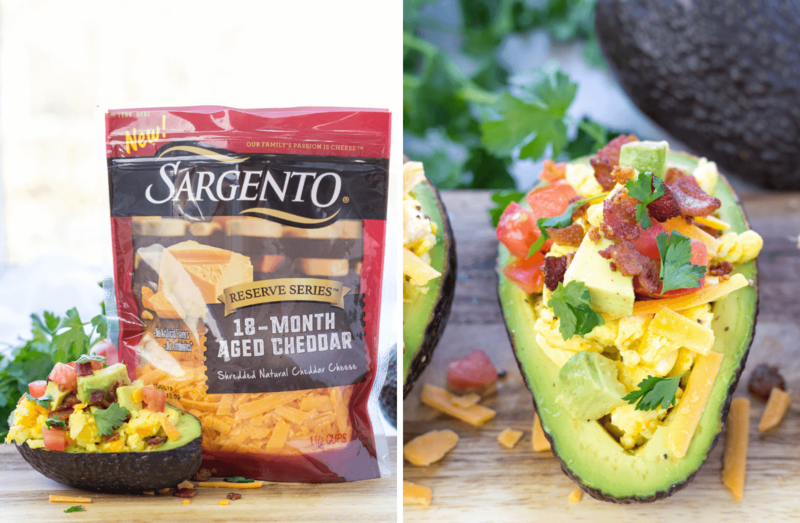 What clever ways will you use new Sargento Shreds​® Reserve Series 18 month aged Cheddar in your breakfast? A delicious omelette? A hearty breakfast casserole? Let me know in the comments below and tell me why you love shopping at Meijer. 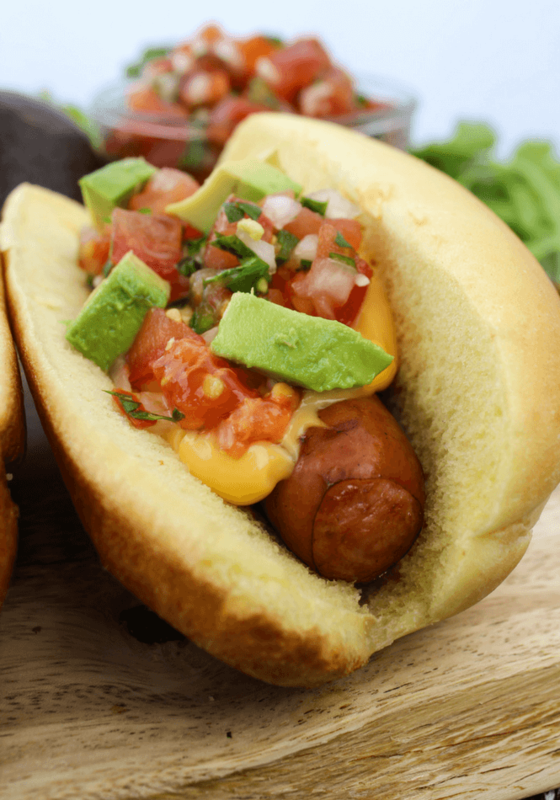 Mexican Hot Dogs are made with Ricos Gourmet Nacho cheddar cheese sauce, fresh Pico de Gallo and avocado all loaded on a grilled bratwurst and nestled in a soft bun. A few weeks back, I made a really delicious family recipe for Cheesy Taco Pasta and the nacho cheese love isn’t stopping there. The baseball season officially begins March 29th and I am feeling the inspiration! 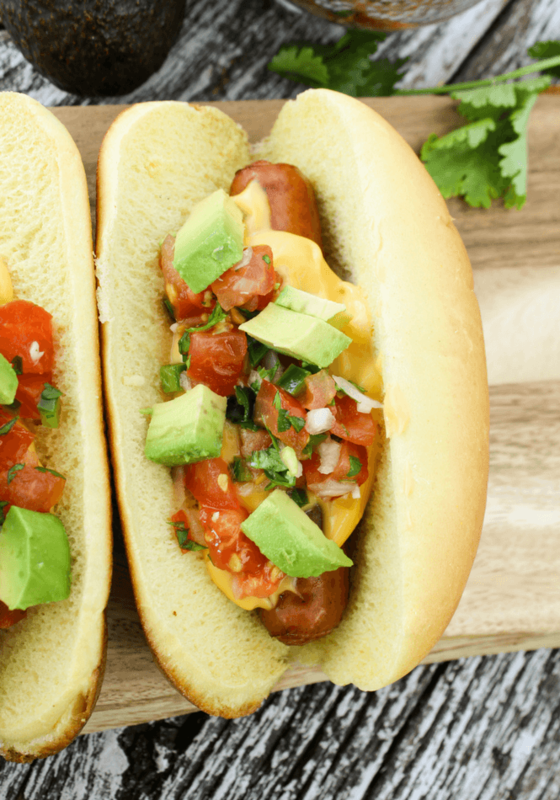 I couldn’t think of a food more baseball than a hot dog but of course, we had to put a little twist on it with these Mexican Hot Dogs. I feel as though the beginning of baseball season is the true sign that spring is here and after this incredibly long winter, I am more than ready for it. Nothing sounds better at the moment than some grilled food, a cold beverage and just sitting back to watch a bit of baseball. Bring it on! Winning a 2018 Ford F-150 is easy-peasy, nacho cheesy. Buy a 15oz can of Ricos Cheese Sauce and get an entry. Buy a 6lb 10 oz can and increase your chances with 5 entries! Click HERE to enter and get more information! Enter every day with each purchase. Valid on purchases from 01/15/18 – 05/31/18; Terms apply. 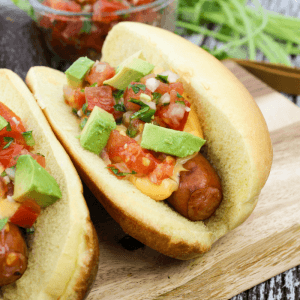 Mexican Hot Dogs with Nacho Cheese are a great baseball game day food because they are simple, really tasty and don’t really need to abide by a strict recipe. 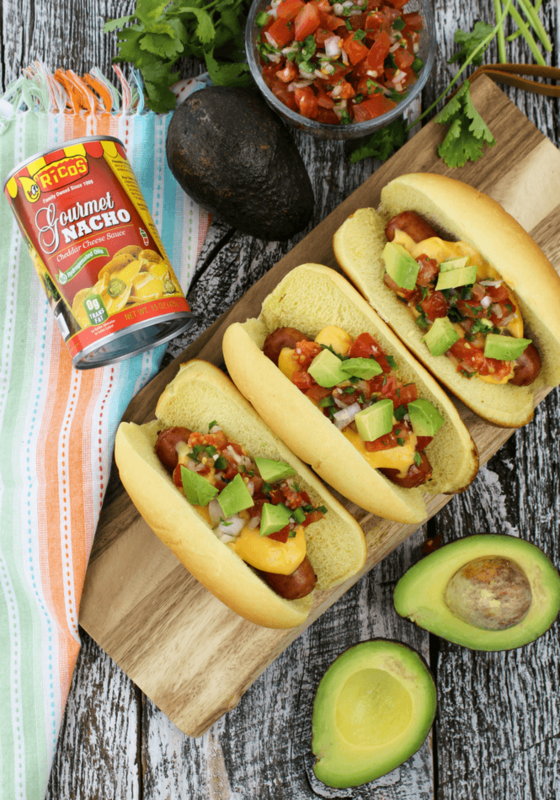 You just need to visit your local Walmart to grab some soft buns, your favorite bratwurst or beef franks, a fresh Pico de Gallo, avocado and the Ricos Nacho cheddar cheese sauce to make this hot dog complete. 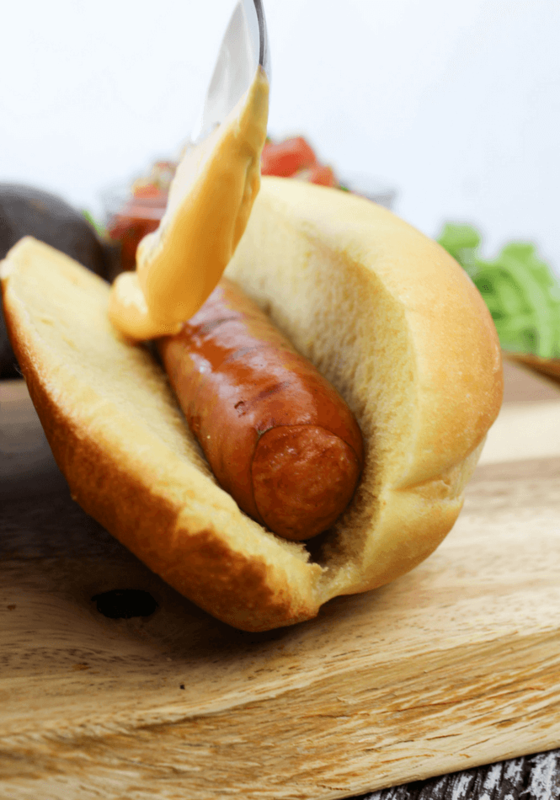 A few minutes of prep to heat up the Ricos Cheese Sauce, dice some produce and grill up those hot dogs and you are all set to watch the game. 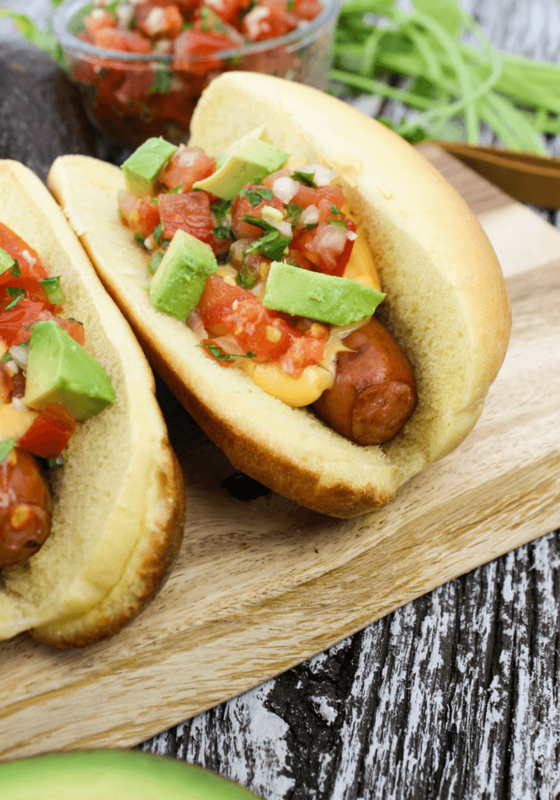 Mexican Hot Dogs are made with Ricos Gourmet Nacho cheddar cheese sauce, fresh Pico de Gallo and avocado all loaded on a grilled bratwurst and soft bun. Prep the Pico de Gallo. Let your grill heat up and toss the Bratwurst on. Cook on a medium heat according to package directions which is typically 10-12 minutes or 15-20 minutes. 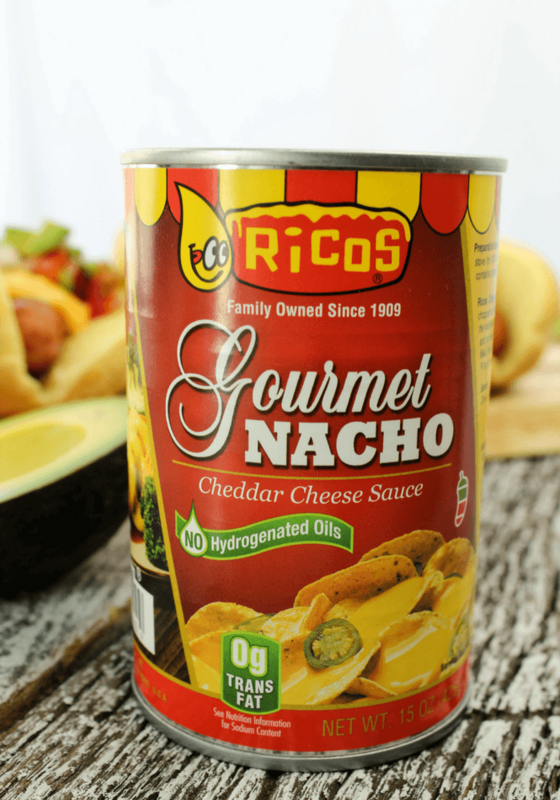 While the hot dogs are grilling, heat your Ricos Gourmet Nacho cheddar cheese sauce on the stovetop on a medium heat for 10 minutes stirring often. Assemble your hot dogs with a layer of Ricos Gourmet Nacho cheddar cheese sauce, a spoonful of Pico de Gallo and a few avocado slices. Ricos Cheese varities can be found at a store near you! Ricos is trans Fat FREE and made with no hydrogenated oils. Plus, preparation is a cinch with heat and serve instructions. Ricos offer the perfect line of cheese sauces for entertaining, game day, barbeques, birthdays and even concession stands to save time and money. Look for the Ricos Condensed Cheddar Cheese has 50% more product when mixed correctly for feeding a crowd. 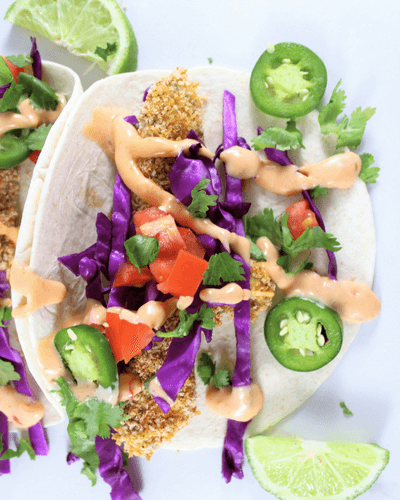 Click HERE to see the full line of Ricos Cheese Sauces including my favorite Ricos Queso Blanco. 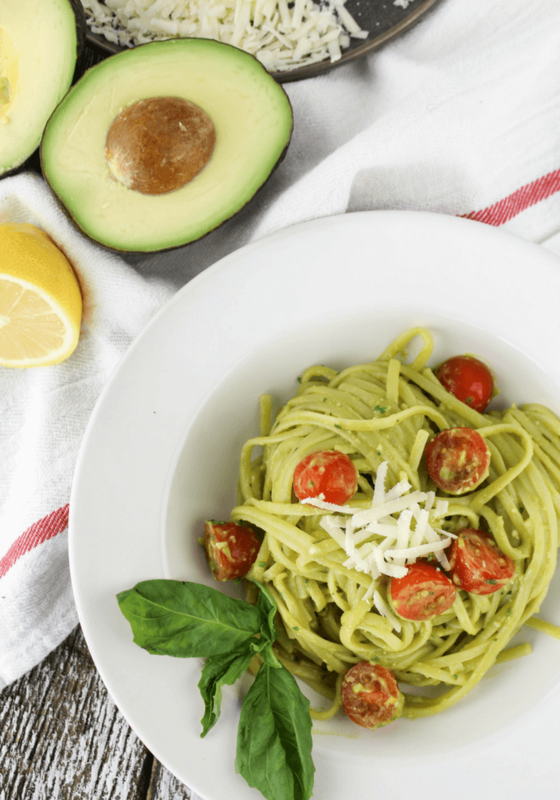 Creamy Avocado Pasta with fresh avocado, basil, lemon, garlic and Romano cheese with cherry tomatoes and linguine. I, like many other people, start the New Year with the goal of eating healthier! 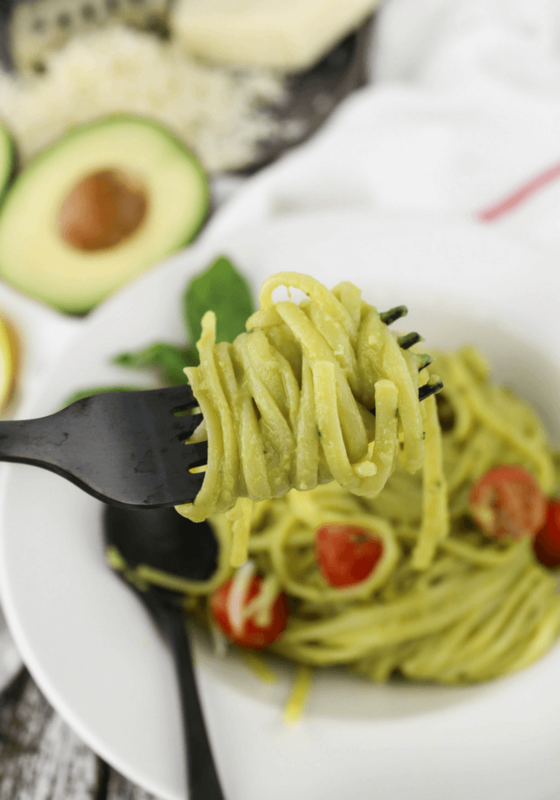 This Creamy Avocado Pasta helps with that goal. I never participate in those “low carb” or “fat free” or trending diets. Instead, I stick to foods that make me feel good inside and out. This dish is one of those that gives you energy, feeds your body good fats and nutrients and also is wholesome keeping the tummy full. 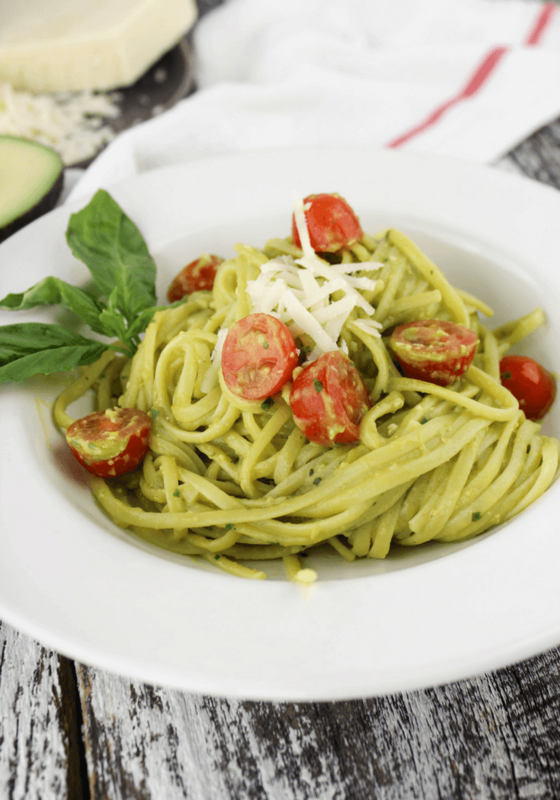 Avocados make a really great base for a pasta sauce. 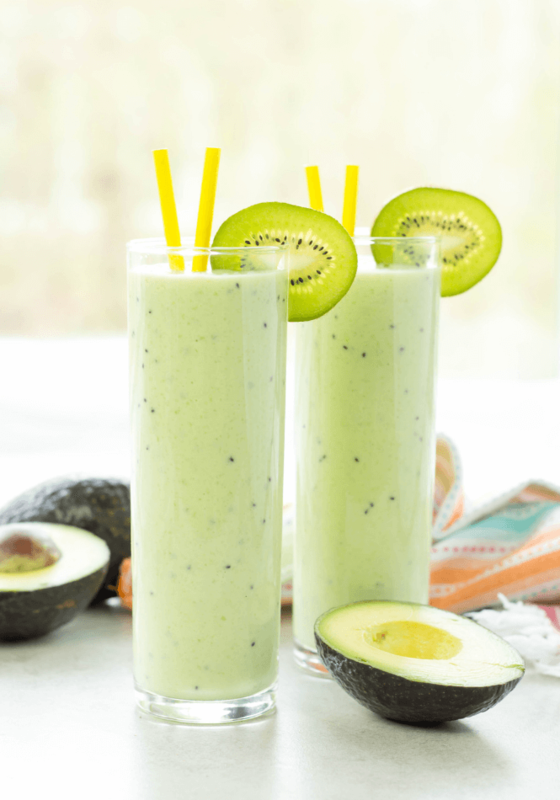 Its flavorful, creamy and a really simple ingredient to utilize. I have been getting lucky with my avocado picking lately. I have been grabbing ones that are really firm and letting them sit out a couple days before use. 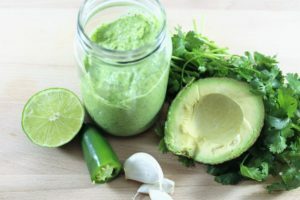 Avoid any soft/ “squishy” avocados because it will be too ripe. 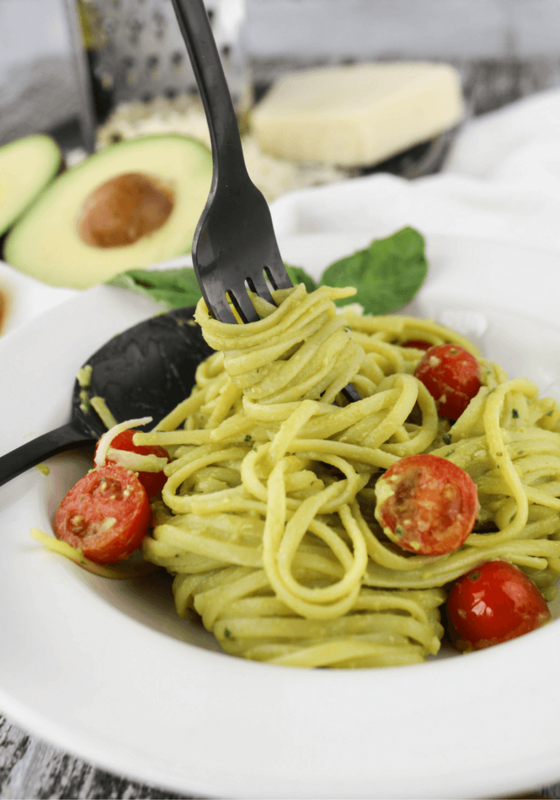 Creamy Avocado Pasta also has a lot of garlic, just the right about of cheese, and juicy cherry tomatoes. Garlic. Avocado. Pasta. Cheese. What else do you need in life? Cook linguine according to box directions. 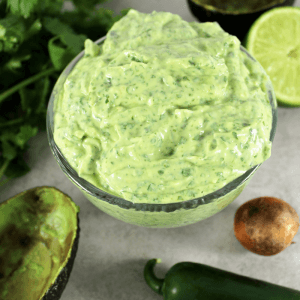 While the pasta cooks, add the avocados, juice from 1 lemon, 4 garlic cloves, soy sauce, olive oil, basil and 1/3 cup Romano cheese to food processor. Blend until creamy. Chop your cherry tomatoes into halves. 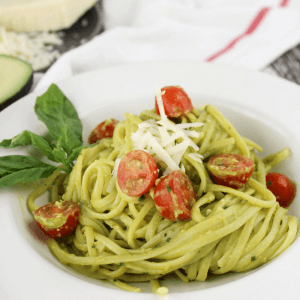 Once the pasta is drained, add into a large bowl with the avocado sauce and cherry tomatoes. Mix together and serve. Garnish with some more Romano cheese if you like. 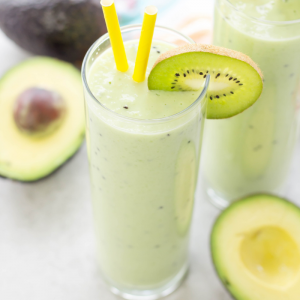 Is your New Years resolution to also eat healthier? What steps do you take to start the New Year right? I want to hear your secrets! Comment below. Simply Made Recipes went live almost 6 months ago and boy, have we come a long way! 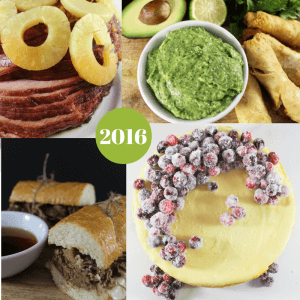 Here is a list of our 5 most popular recipes for 2016 and we look forward to diving into 2017. 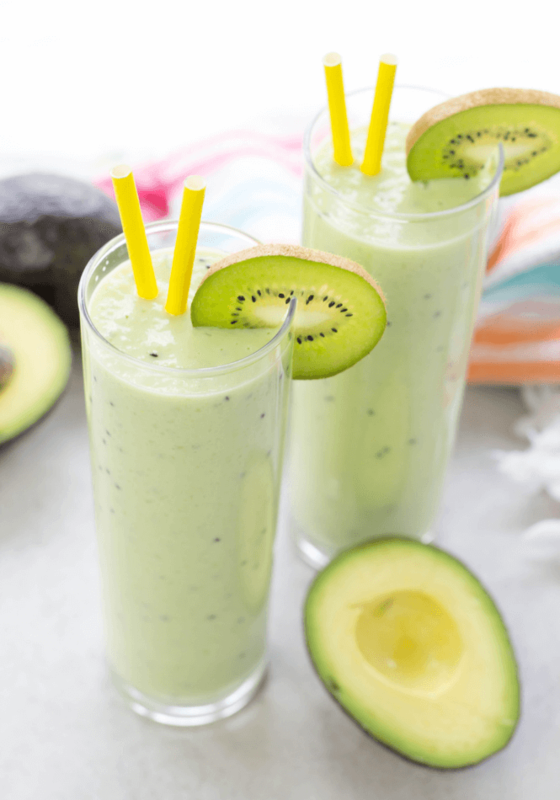 2017 Simply Made Recipes will jump start the year with healthy recipes for your New Year resolution. 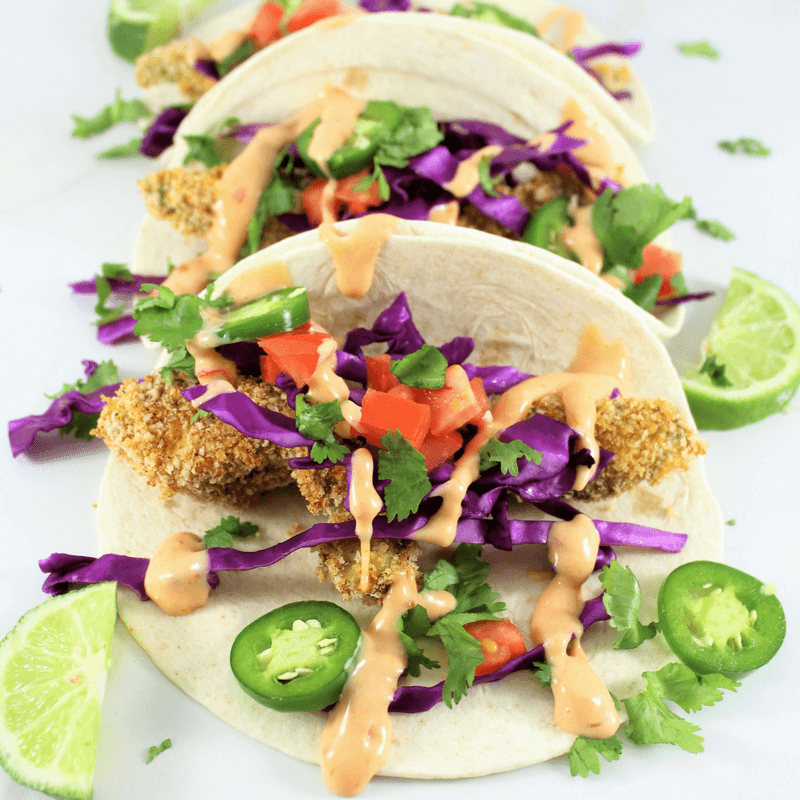 Our goal for 2017 is to triple our traffic and bring you 2 awesome new recipes every week. What are your goals for the New Year? 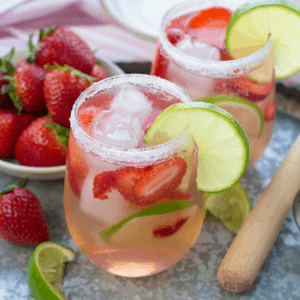 What would you like to see from us here at Simply Made Recipes? 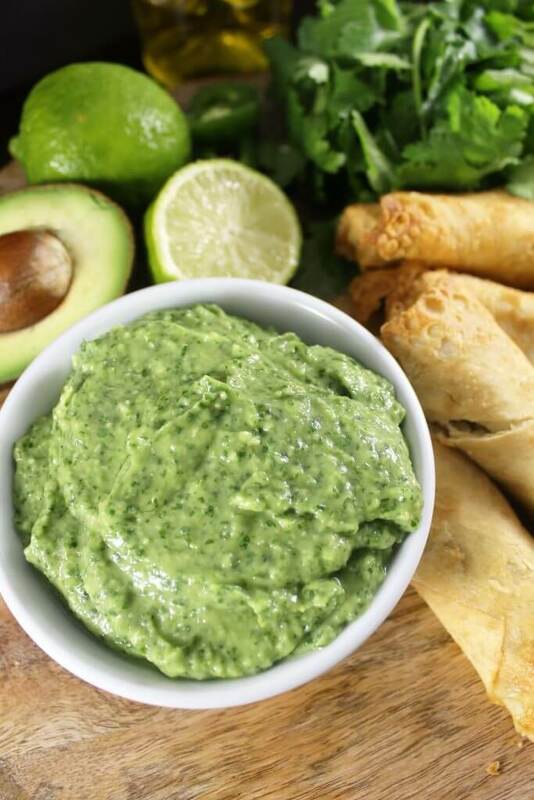 Number ONE is our Avocado Bomb Sauce. This recipe has been a huge hit on Pinterest with my last count of over 50k repins. Why so popular? You can use this sauce for ANYTHING! 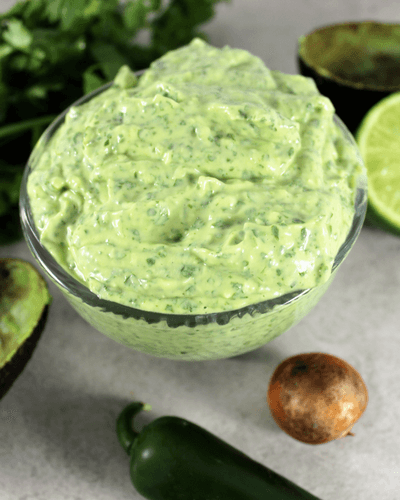 A dip, dressing, sauce, on tacos, eggs, salad, whatever you please. 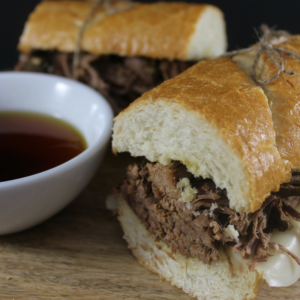 Number 2 is the 5 Ingredient Crock-Pot French Dips! 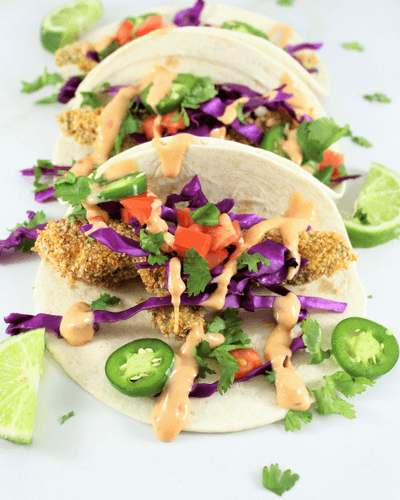 We love this recipe because it is so easy and convenient, plus perfect for busy days when you can dump ingredients in the morning and eat when everyone gets home in the evening. Our number 3 recipe came late in the year but has been a great find for google searches for the Slow Cooker Honey Pineapple Holiday Ham. 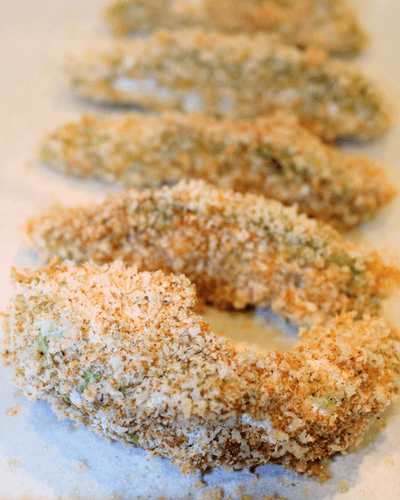 Keep this recipe near by for Easter is approaching quickly! 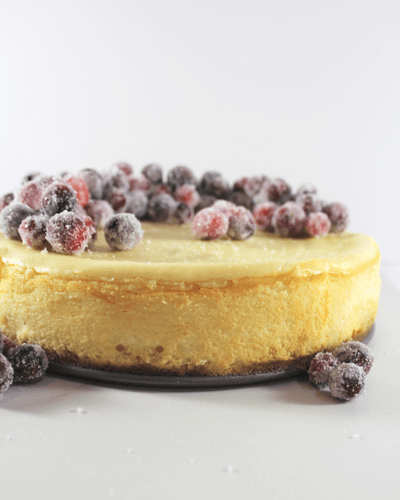 The most popular dessert of 2016 and number 4 on the list is the Sparkling Cranberries White Chocolate Cheesecake. Don’t want to wait for cranberries to be back in season? That’s okay, try it with fresh raspberries on top! Delish! Last but not least on the list to finish off the most popular of 2016 is our recipe for Garlic Parmesan Breadsticks. 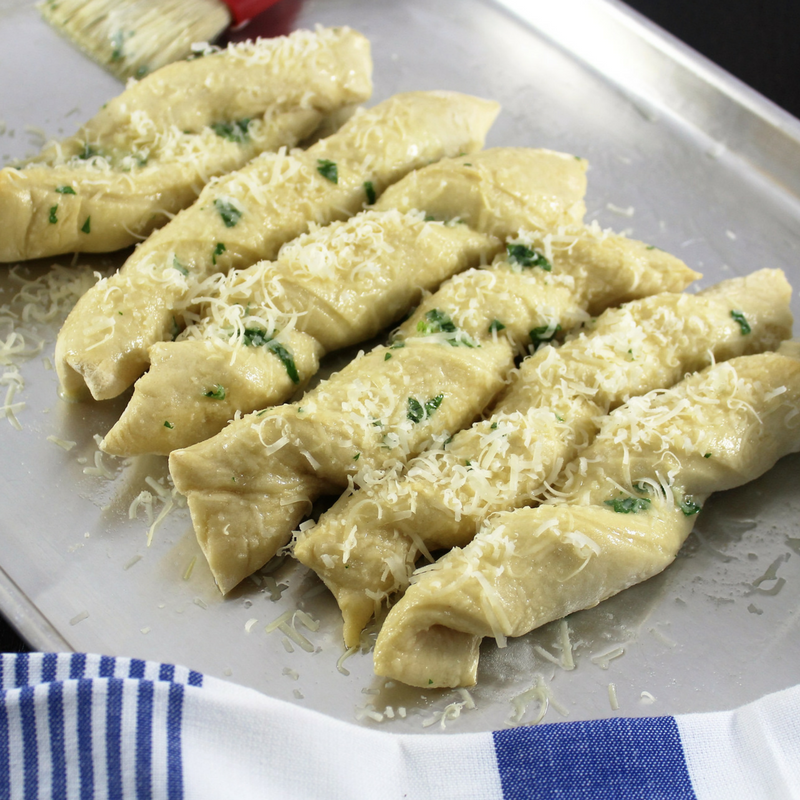 Cheesy and buttery and oh so delicious! Simply Made Recipes is an affiliate of ShareASale.com and clicking a link and making a purchase may result in a small commission for us. This cost nothing extra to you and helps keep this site running! 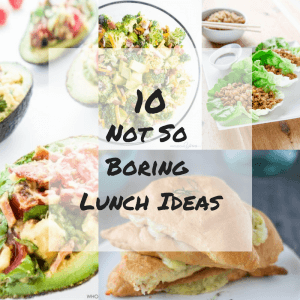 10 Not So Boring Lunch Ideas features 10 awesome lunch ideas from some of the best food blogs around. 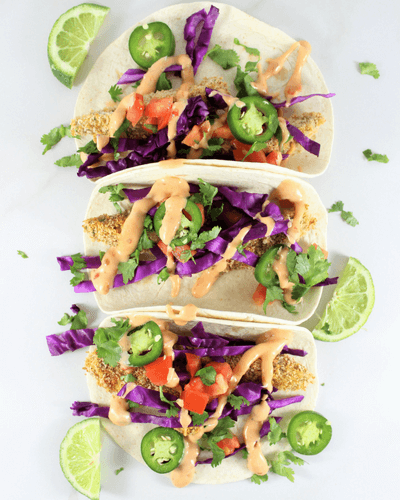 These recipes are focused on simple options to take to work in a brown bag and everything is eaten cold or needs just a quick reheat in the microwave. Lunch is the most difficult meal to plan for in our house. We are so busy and the basic turkey sandwich or unhealthy hot pocket just doesn’t cut it. Forget about spending money on eating out everyday, we would go broke real quick. So we have stepped up those boring turkey sandwiches and even found a hot pocket replacement down below that is a must make if you love Shepherd’s Pie as much as we do! 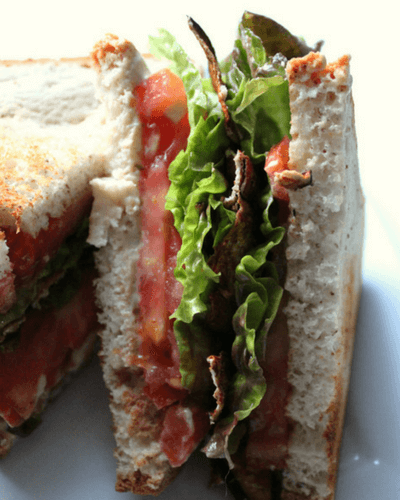 The Ultimate Vegan BLT from Strength and Sunshine features a wonderful BLT option made with sliced eggplant in replace of bacon! 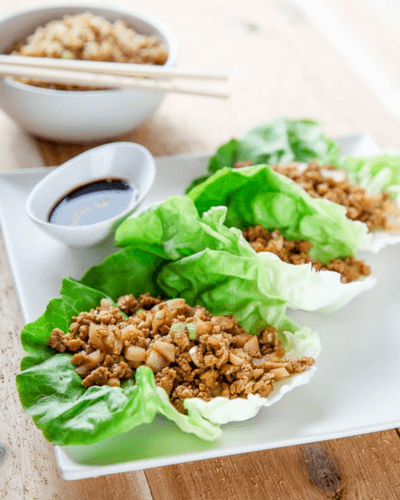 Copycat PF Chang’s Lettuce Wraps from Baking Beauty with delicious flavors in a lettuce wrap. 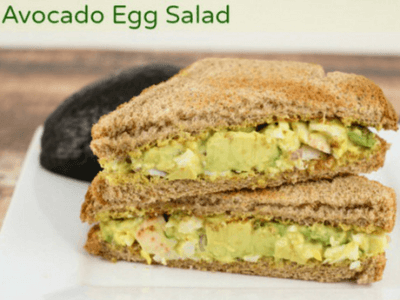 Avocado Egg Salad from Sugar, Spice, and Family Life feature a wonderful sandwich amps up your regular egg salad with added avocados and some nice seasoning. Avocado Stuffed BLT from Wholesum Yum is exactly what it sounds like, an avocado with bacon, lettuce and tomato inside and they look amazing! Spicy Buffalo Honey Mustard Croissants from here at Simply Made Recipes with a must have recipe for Spicy Buffalo Honey Mustard. 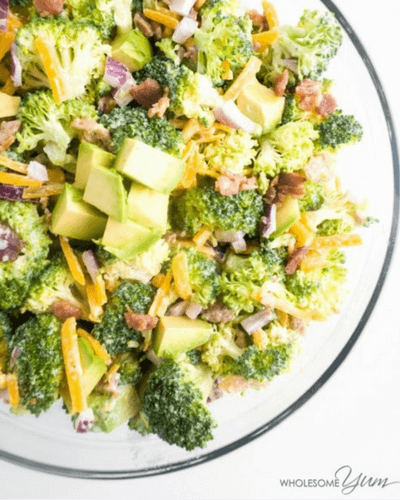 Bacon Avocado Broccoli Salad again from Wholesum Yum has bacon pieces, avocado chunks, broccoli, cheddar cheese and mayo. 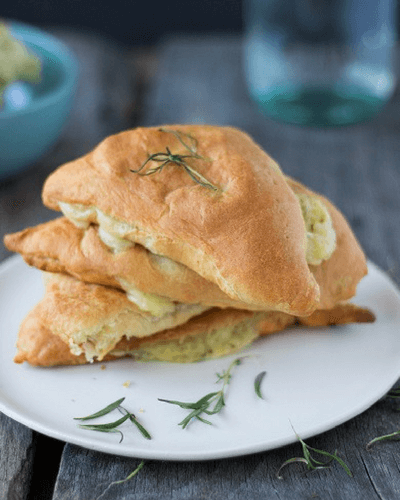 Shepherd’s Pie Pockets from Eat.Thrive.Glow. When I saw these I knew they had to be on the list with lamb, peas, carrots, and potatoes wrapped in a crescent roll. Everything you love in a Shepherd’s Pie but in an easy reheat hand pocket. 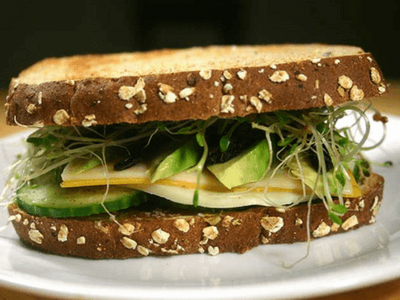 Three-Cheese Veggie Sandwich from Diabetic Foodie. Diabetic Foodie had me at 3 cheese. Provolone, cheddar, and swiss cheeses with a Sundried Tomato Pesto. 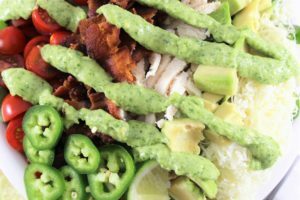 Bacon Lettuce Tomato Avocado Chicken Salad Wraps from Love Bakes Good Cakes. Say that 5 times fast. 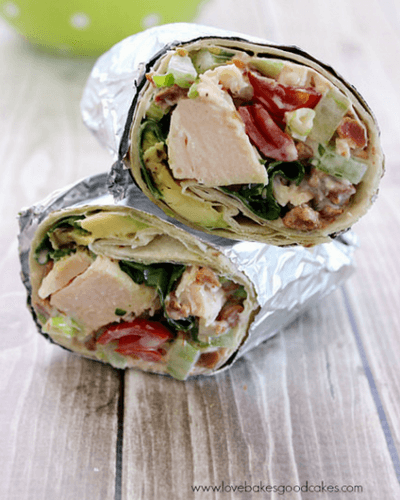 There is just something about avocado, bacon, chicken and tomatoes together that just make a perfect lunch and wraps are perfect and so simple to take for lunch. 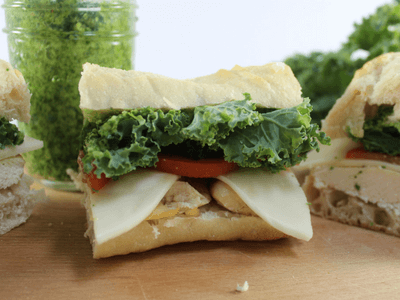 Kale Pesto Chicken Sandwich here at Simply Made Recipes has a delicious homemade kale pesto that is to die for! 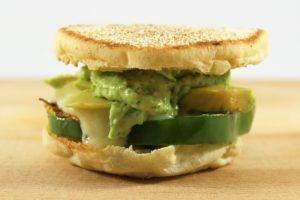 The Bomb Sauced Breakfast Muffin with a fried egg in a green bell pepper, freshly sliced avocado and our creamy avocado Bomb Sauce on a toasted English muffin is what’s for breakfast! Healthy, simple and nutritious. 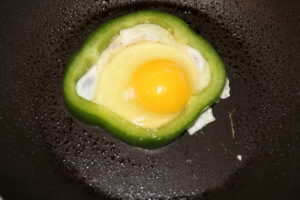 We love this little trick of frying the egg inside a slice of green bell pepper, it makes cooking eggs a breeze and tastes so delicious. 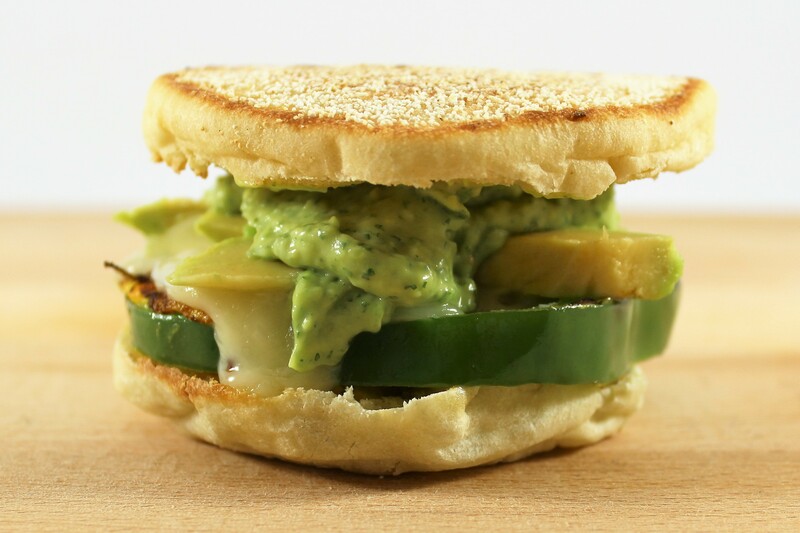 The creamy avocado sauce on top makes this breakfast sandwich extra special. Gather ingredients, cooking pan, prepared avocado Bomb Sauce , knife, cutting board, and cooking spray. 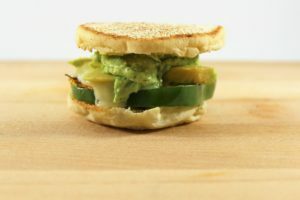 Slice avocado as pictures show to create a little "holding cell" for the fried egg. 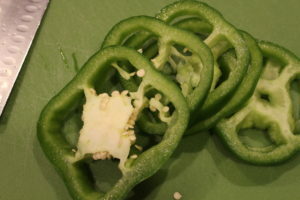 Put one green pepper slice onto a pan on medium heat and add an egg in center. Make sure the pan is hot enough that the egg begins to cook immediately. Salt and pepper egg as desired. Toast the English muffin as the egg cooks.